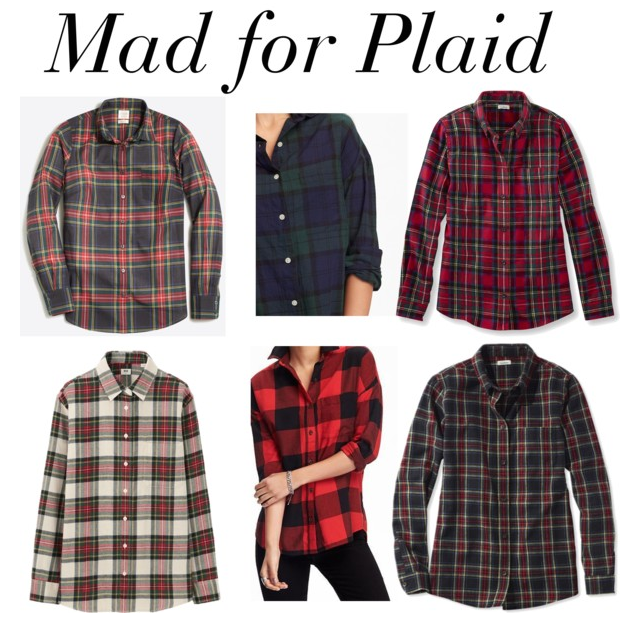 YALL, plaid season is finally here! It's cooling down here in Louisiana and I've been stocking up on all my flannels and pretty plaids I can wear all season long and for many seasons to come. 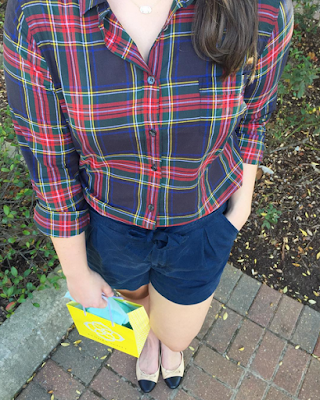 I'm a huge fan of more laid back, baggy flannels to wear with leggings and jeans for class and weekend errands, but I also love the look of a crisp plaid shirt with a skirt for more formal events. I've included a mix of both here, so ENJOY! I'll start with the two I recently got from Old Navy. I picked up this boyfriend shirt in a classic "Luke from Gilmore Girls" plaid and also this black watch one that fits a bit more slim. Both are super soft and both will get loads of wear from me this season, not to mention their great price! I'd say to size down in the boyfriend flannel, but get your usual size in the regular ones. I just ordered this one from Uniqlo because Carly of The College Prepster recommended it. I saw it on her snap chat and immediately had to have it. It's different from anything in my closet and I think the white base will lighten up my black and navy fall wardrobe. J.Crew brought back this plaid from last year and I AM SO GLAD because I wanted it so bad. I love the look of it and already have plans to wear it with a red skirt for a Christmas party. It's a but thinner, so perfect for fall, and will layer well come colder weather. I ordered my usual size because I want to tuck it into skirts, but order one size up for a baggier fit. I would be remiss if I didn't mention the king of all plaid makers, LL Bean. Something about LL Bean just says "cozy cabin in the woods" to me, and what else would you wear in a cabin in the woods besides flannel? They're more heavy weight, which means more warmth, but that makes them perfect for chilly fall and winter mornings. Throw on a pair of leggings and cute flats and you're good to go! This one is calling my name, because it just screams Christmas morning, but I like this one too, because it will match everything. I'd say with these, order your normal size for a looser fit, or order one size down for a slimmer silhouette. Overall, I just love this crisp, cool weather. I've been spending so much more time outside and I feel like my mood has improved so much. I love summer, but nothing beats a "60 and sunny" walk to class in the morning! If it's not so cold yet where you are, I posted a few fall transition pieces you can incorporate into your wardrobe now too! Hope you're having a great week so far, see you next time!